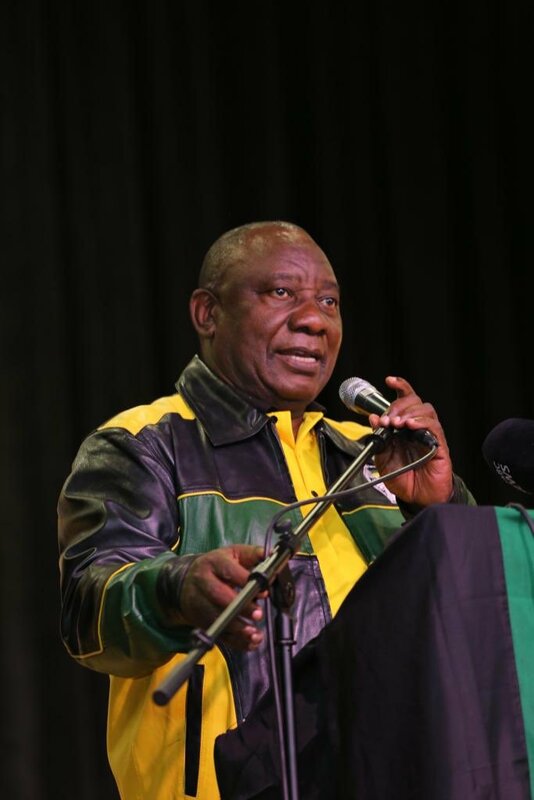 Port Elizabeth - President Cyril Ramaphosa, who is also the President of the ruling African National Congress (ANC) was in Nelson Mandela Bay on Sunday to woo local voters to vote for the ANC in the upcoming 2019 National and Provincial Elections. Winning back the voters in Nelson Mandela Bay is paramount to the ANC, which surprisingly lost the Bay, to the Democratic Alliance (DA) in the 2016 Local Government Elections. However, the DA did not win the Bay with a wide margin and needed a coalition with smaller parties such as the United Democratic Movement (UDM) as well as support from the Economic Freedom Fighters (EFF). Still, following political drama in the Bay, the UDM and EFF supported efforts to remove the then DA-led coalition and joined the current ANC-dominated administration which is running the Bay. The ANC does not have the numbers in the 120-seat Council and, like the DA before it, needs the support of the smaller parties. 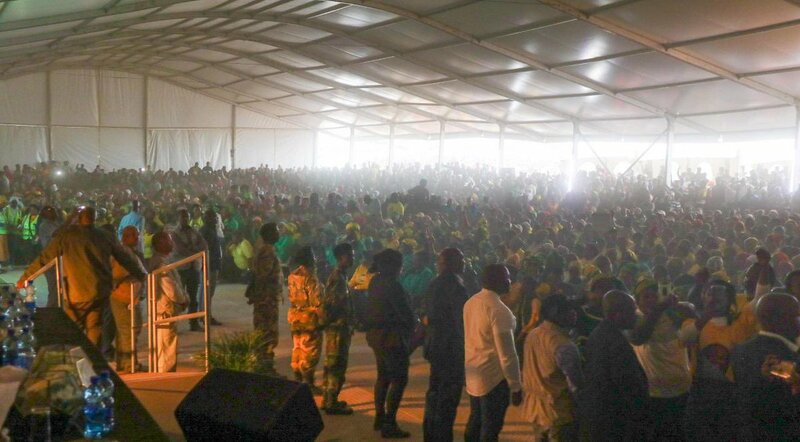 Ramaphosa's campaigning began in the Northern Areas of Port Elizabeth. Addressing supporters at the George Botha Community Hall in Bethelsdorp, he also touched on government efforts to fight gangsterism and crime. He acknowledged those, who have lost loved ones to gang violence and reassured the residents that the ANC has a plan to deal with the scourge through the police's Anti-gang unit. Ramaphosa also noted that; "We are locked in a coalition that is not working. The coalition government is not working. He said that residents in the Metro's that the ANC lost in the 2016 Local Government Elections wanted to try other alternatives, but have now realised that they made a mistake in voting in the DA. "They are realising now that it is only the ANC that delivers on better services than they are getting now - they thought they would get much better services; much better attention - they are not getting that," he later said on a local radio station. "What is happening now is that service delivery is getting diverted to areas where, people [already] have better infrastruture. In the Eastern Cape and Western Cape, our people are now realising that they would have been better served under the African National Congress." Ramaphosa said that the ANC is the only party where there is unity in diversity. He told supporters that "South Africa belongs to all who live in it, black and white and that is why we have a non-racial character." At Nangoza Jebe Hall in New Brighton, Port Elizabeth, Ramaphosa, promised voters that "The ANC government will create jobs for young people of our country." Ramaphosa said that where he has been on the campaign trail, people want jobs and his government will dilver on jobs. He also said that government was working to address gender-based violence and, to the applause of the gathered crowd, appealed to men to respect all women in communities - mothers, sisters, aunts and gandmothers. Ramaphosa also hosted local stakeholders - including business, during a lunch meeting where he emphasised on the ANC's committment to growing the economy, fighting corruption as well as to uphold the Constitution and the rule of law though government institutions such as the commissions of inquiry and the National Prosecuting Authority (NPA). At at NU 30 in Motherwell, Port Elizabeth, Ramaphosa highlighted how the ANC government had made education accesible to all. "80 % of our schools are no fee schools." He also stated the ANC is committed to increase support for small businesses, particularly those owned by women and the youth. Ramaphosa said that after 8 May, the ANC will still be the ruling party and urged all supporters to come out in their numbers to vote for the party.